To celebrate the Bundt pan's 60th birthday, Nordic Ware is looking for recipes for its "Bundts Across America" cookbook. The Bundt pan turns 60 this year and Nordic Ware -- maker of the fluted pan -- is marking the occasion with a search for the best Bundt recipe from every state. The recipes will be combined in a cookbook, "Bundts Across America." Also, the grand-prize winner receives a family reunion party for 50 and $1,000 in Nordic Ware products. Ten finalists will receive $500 gift certificates for Nordic Ware, and each state winner will receive a $100 gift certificate. Recipes will be judged on how well the cake represents the baker's home state -- as well as originality, taste, texture and appearance. No elaborate frostings, please; the cake should be the star. And the contest is for amateurs only -- no food professionals. Deadline to enter is Sept. 1. 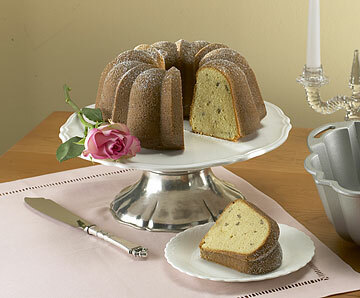 Enter via www.nordicware.com, or by mail to "Bundts Across America," P.O. Box 1692, Saint Paul, MN 55101-0692. Include a complete recipe, picture of your cake and a statement of why your cake best represents your state. We know, we know ... you just made it through all of your Father's Day obligations. But if you want to enjoy Chef Darryl Fujita's brunch at Orchids at the Halekulani in Waikiki, it's time to start thinking about Father's Day next year. All holiday brunches at Orchids sell out three to six months in advance; consequently, the restaurant has already started taking reservations for Father's Day brunch in 2007. Don't let Dad miss out on an elegant beachfront dining experience because you can't plan a year in advance! Make your reservations today at 923-2311. Send items to Katherine Nichols, 7 Waterfront Plaza, Suite 210, Honolulu 96813. Or e-mail knichols@starbulletin.com. The Rehabilitation Center of the Pacific has combined its frequent healthy-cooking classes into a single offering, "Lean, Low Sodium and Scrumptious." The class is targeted at those who must watch their sodium, fat and cholesterol intake, taught by dietitian Moana Bachiller. This month's class will be held from 5:30 to 7 p.m. June 28 in the hospital's Frear Cafeteria, 226 N. Kuakini St. Cost is $30. Reservations required: 566-3780. Culinary students from Kapiolani Community College will host a demonstration at noon Saturday at Macy's Ala Moana. They'll show off the dishes they plan to prepare for the regional rounds of the American Culinary Federation Student Cooking Competition: a summer salad of tomatoes, mozzarella and avocados; and prosciutto-wrapped pork tenderloin. The class, in the fourth-floor demonstration kitchen, is free. Call 945-5894. Five top German winemakers will conduct a workshop on deciphering German wines, 7 to 9 p.m. June 29 at the JMD Educational Center in Aiea. The class is presented through the University of Hawaii Outreach College. Cost is $55; must be 21 or older. To register call 956-8400 or visit www.outreach.hawaii.edu/noncredit/nc_registration.asp. Tickets go on sale today for comedian David Alan Grier's performance Aug. 12 at the Blaisdell Concert Hall. He was part of the memorable cast for the hit TV sketch comedy show "In Living Color," and continues to do numerous TV and movie roles. Tickets are $29 and $39, and are available at the Blaisdell Center box office and all Ticketmaster outlets. Or charge by phone at (877) 750-4400 or online at ticketmaster.com. The Honolulu Boy Choir is looking to expand its ranks. Singers ages 7 to 12, with an emphasis on 10- to 12-year-olds, are invited to audition from 8 a.m. to noon Saturday at Makiki Christian Church, 29 Pensacola St. The choir has been in existence since 1974, and has traveled as far as Canada, Japan and Australia. In 2004, the choir represented Hawaii at the WWII Memorial dedication in Washington, D.C. Call 596-7464 for an appointment or visit www.honouluboychoir.org.